The holy city of Ujjain is famous for its Mahakal temple and many other religious and monumental places. Every year innumerable devotees visit the city to seek the blessings from the holy deity. 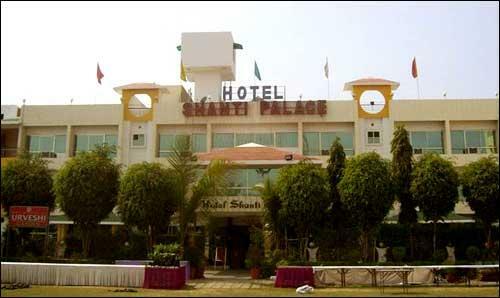 Just like other parts of the city there are numerous hotels in Ujjain but with an exception. In this part of Madhya Pradesh you could hardly find any hotel without attached vegetarian restaurant. Most of the hotels are attached with a restaurant and are known for offering high quality vegetarian food. Many devotees on fasting prefer fruitsalad or sabudana dosas preapared with rock salt as a replacement for regular salt. You can order for high quality food right from your room. The attached restaurants are mostly located in the ground floor area of any hotel. Apart from these restaurants there are many individual restaurants offering popular vegetarian food in Ujjain. Thus staying in the hotels in Ujjain can be a good idea as you do not have to worry about your meals and other arrangements. Further the charges of the hotel are also affordable and within the budget. Below is the list of Hotels and Restaurants in the city. Phone No: 919302220170, 919300727918, 919907029508.